LeagueSX Refer & earn – Leaguesx is come up with a Refer & earn Program where You will get Rs.20 for each referral & Rs.30 on Signup.Please read this Post for the complete procedure. The video is Comming soon. 2. Now Select any Group & Proceed. 5. 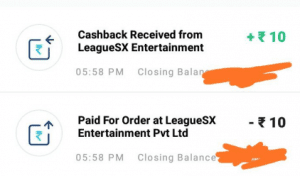 You will Get Rs.10 in PayTM & Rs.20 in Your Leaguex Wallet. 7. Deposit is Required to get Rs.10 per invite offer. Now You are Ready to earn Rs.10 for each invite. Visit Refer Section & Copy Your referral Link. Share this Link with Your Friends & Ask them to signup. When they deposit Rs.10 using Referral Link. 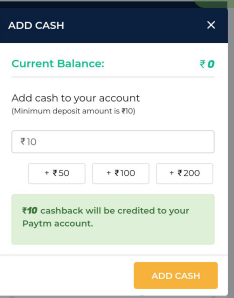 You, Will, get Rs.10 in Your PayTM Wallet.